HAVE YOU SEEN FROZEN AT DISNEY'S HOLLYWOOD STUDIOS? Guests can enjoy even more Frozen fun as Frozen Summer Fun Live is extending its run at Disney’s Hollywood Studios through Sept. 28, 2014. The popularity of the special event prompted Anna, Elsa, Olaf and their friends to extend their stay at the Walt Disney World Resort theme park beyond Sept. 1, 2014 (the originally announced closing date for the event). Fans of “Frozen” have been visiting Disney’s Hollywood Studios since July 5, enjoying experiences like the “For The First Time in Forever: A ‘Frozen’ Sing-Along Celebration” and ice skating inside Wandering Oaken’s Trading Post & Frozen Funland. Anna, Elsa & Kristoff are also welcomed by guests daily in an 11 a.m. processional down Hollywood Boulevard. Nearly all of the event’s components will continue daily, with the exception of the “Frozen Fireworks” spectacular. The fireworks show will be presented each night (except Aug. 23) through Sept. 1, and then on Fridays, Saturdays, and Sundays only from Sept. 5-28. 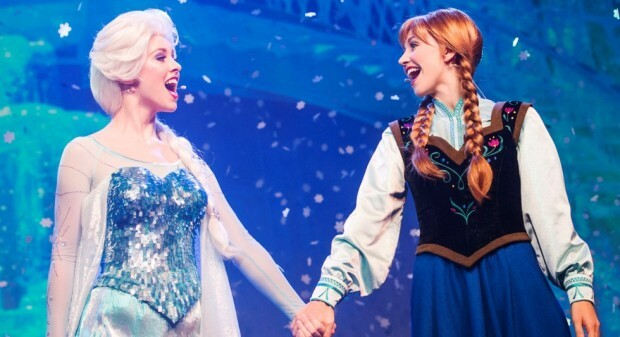 Most activities at Frozen Summer Fun Live are included in regular park admission to Disney’s Hollywood Studios.